Tomb Raider Set Photos Reveal Alicia Vikander as Lara Croft! First Tomb Raider Set Photos Reveal Alicia Vikander as Lara Croft! Production is in full swing in South Africa for the upcoming Tomb Raider reboot and the first photos from the set have debuted online from The Daily Mail featuring Academy Award winner Alicia Vikander (The Danish Girl, Ex Machina) as the title hero. Check out the Tomb Raider set photos below and see even more by clicking here! Roar Uthaug will direct the film, which has a script by Transformers: The Last Knight scribe Geneva Robertson-Dworet. The original Tomb Raider game was published in 1996 by the London-based video game company Eidos and became one of the most successful video games of the time. 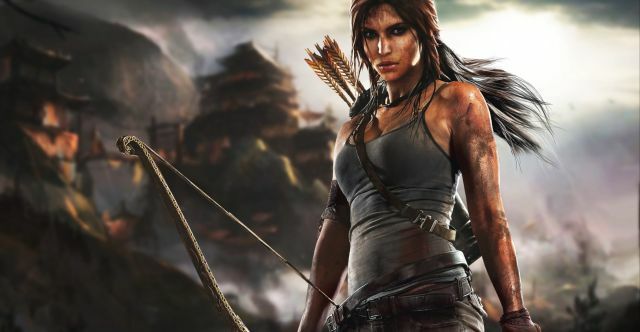 A reboot of the series, telling the origin of Lara Croft, was released in 2013 and sold over 5 million copies. The most recent game, titled Rise of the Tomb Raider, is available now.